A peek at Switzerland in India! 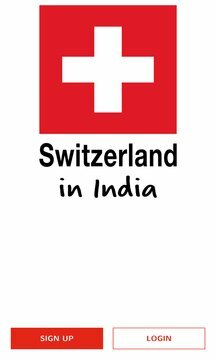 Stay informed about all the initiatives by Swiss government entities in Indi exhibitions, workshops, meetups, live performances and other events connecting Switzerland and India. • get access to, and exchange with the Swiss government entities' network. As part of the Year of Swiss Innovation in India 2015-16, the Embassy of Switzerland in India, swissnex India, Pro Helvetia New Delhi, the Consulate General of Switzerland in Mumbai and Bangalore and the Swiss Business Hub bring you an easy way to stay connected. 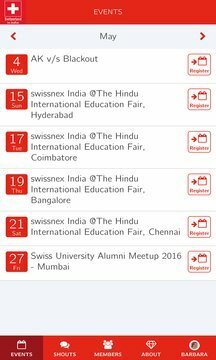 One click, and you'll know the interesting activities lined up by us, to connect Switzerland and India further!